“Failte” (“Welcome”) from the Lincoln Irish Dancers! 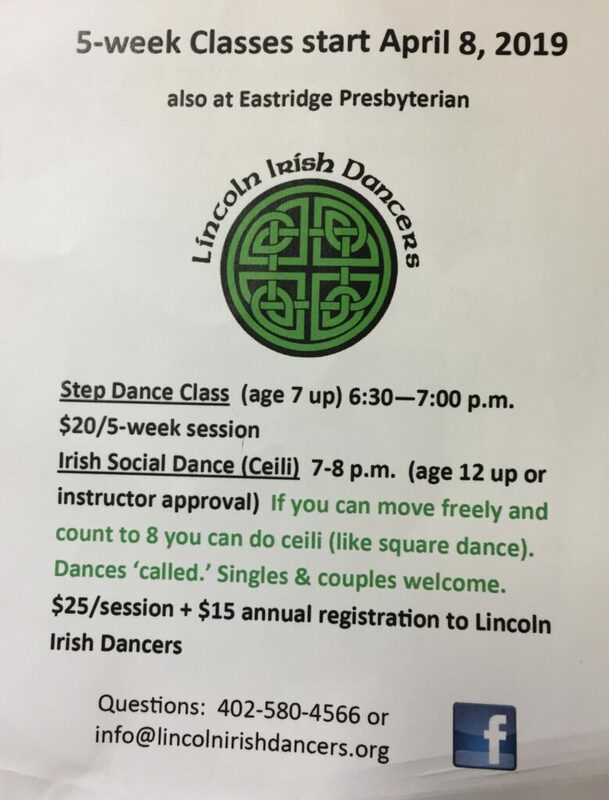 Our mission is “to heighten awareness and appreciation of traditional Irish dance, and to celebrate Irish culture” here in Lincoln, Nebraska and surrounding areas. Our group began in March of 1997. 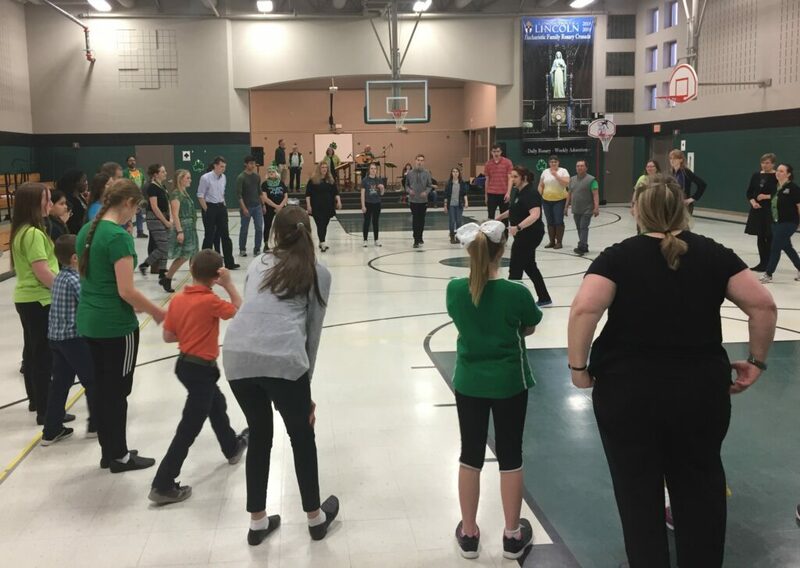 We now offer a variety of activities such as holding Irish social dance classes from fall through spring in 5-week sessions; performing locally and regionally throughout the year; hosting a public ceili and workshops; facilitating periodic trips, e.g., to Ireland; and a number of member-only social events. “Go raibh maith agaibh!” (“Thank you!”) to all who donated to our fund drive for the 2019 spring ceili! We were delighted to see such strong support from among our own members and alums and friends. Your contributions allowed us to continue hosting this special event.